Let's face it - human beings are obsessed with black or white, with one or two as well as man or woman. Basically, societies on this planet demand definition and have an issue with duality. Humans need to identify everything and anything with a label - and only one. This dawned on me when I was flying out from an airport recently on my way home to London. The passport control glared at the front page of my passport and curled his eyebrows. "Your nationality is Italian but your last name is Spanish and you were born in New York City?" "Yes...." I replied, dragging out the pronunciation of the final "s" as anticipated more questioning about my identity, which always happened. "How is that?" He blurted at me. I sighed. This always happens, I thought. "Because my mother is from Italy and my father is from the Dominican Republic but I was born in the States"
"So what are you doing in England?" I sighed. "I live there". Here we go again, I thought. He leaned closer. "So what are you?" "Italian, Dominican and American" I responded confidently, slightly agitated. What the hell was his problem? I thought. "No, you can't" he grunted, pushing my passport back. "You have to identify with one"
"For the flight?" I uttered, putting my passport back into its cover. "No, in life!" He bursted, droplets of spit smashing against the acrylic screen that separated us. "You can only pick one!" All my life, I struggled with this; the unnecessary choice which society shoves down my throat incessantly in which I had to be one, for everyone. I had to just pick one. I couldn't be all of them. Yet the thing is that I've always identified with all three of my cultures. And in fact it was with reason; I had all 3 passports, I spoke all 3 languages, and I was connected to all 3 countries by friends, family, and of course, culture. But more and more, I began to understand the lack of tolerance in society for "multiple identities". It comes across as "deceptive" to say the least that one could be more than one ID that was designated from birth - a thought which slightly hints of espionage and "other realm mystery" for others. Society has had an issue with this forever. An in depth book on identity called In the Name of Identity by Amin Maalouf elegantly articulates man's fear to anything dual or "confused identity". Take the author's own, for example - being both Lebanese and Christian which confused outsiders when he declared himself a native Arabic speaker and an ethnic Arab, but not Muslim yet at the same time a French passport holder. He goes on to describe how humans commit wars in the name of identity but modern age and globalisation was working toward bringing people together and potentially unifying humankind. As much as I admire and love Maalouf's book, I found his prediction somewhat off from present-day situations. Identity wars are still being played out, but not necessarily are they always as bellicose as those of the genocide in Rwanda back in 1994 between the Hutus and the Tutsis. Only sometime ago, a child born to a foreign father and German mother was not recognised as a citizen of Germany - despite being born and raised in the country and being half ethnic German. This came out in a recent BBC documentary entitled “Germany at the Centre” which also discussed about the new refugees from Syria seeking asylum in Germany, and the potential new generations of Syrian-Germans being created via the conflict. It brought forth the question on whether or not these refugees could ever really be German, despite their desire to learn the language and integrate as fast as possible. It's the same question that was posed on the Turkish guest workers to Germany from the '60's who contributed to a new wave of dual Turkish-German identity. Are these people, with their long brown locks and Mediterranean glow, really Germans? 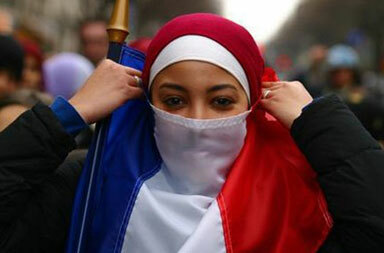 France particularly has a hard time with dual identity, although the country is rich in it. France's stance on foreigners has always been a practice of total assimilation on those who immigrated to l'hexagone (“the hexagon”, as the Frenchies call France) which stems from the same policy used during colonial times in Africa. The French valued "Frenchness" above all and total acceptance into society came in relinquishing one's former self - in this case, one's previous culture and identity. For many newcomers to France, that's not an easy thing to do, as is the case for countless French citizens of Arab descent and of the Muslim faith. While these immigrants adopted French culture and "savoir-faire" with open arms, they weren't prepared to give us their original culture and identity. France is home to the largest population of Muslims in Europe and Franco-Arab heritage is now a vital and integral part of what it means to be French, thanks largely to former French colonies in North Africa (particularly Algeria). Franco-Arab heritage is found in modern French lingo (such as "kiffer" - to like, which stems from the North African Arabic word kif for hashish! ), couscous and tagine which are de rigour in a Parisian soirée and French football icon Zinedine Zidane is the poster boy for French identity, albeit being of Algerian origin and a Muslim. Yet somehow, there is deep malaise with the concept of being French and holding on to an Arab, and especially Muslim, identity. France considers the pillar of its society to be laiticité (secularism à la française) where there is heavily enforced separation of church and state. This includes removing the Christian cross or Jewish kippa when entering state buildings. So the constant visual reminders of Islam via hijabs and for some devout men, long beards, pose as ultimate conflict to the total assimilation to French culture by the so-called foreigner; even if this "foreigner" happens to be a three generation French citizen of Algerian descent and a practising Muslim to boot. For France, you're either French or not - you can't be both. And this mentality is one of the primary reasons for marginalisation and intercommunity conflict for many French Arabs in the notorious banlieues of Paris and beyond. Heading next door to Italy, there's a different kind of lacking in the acceptance of multiple identities. Let's take myself for example; anyone who knows me can confidently say that despite my multicultural background and third culture kid complex, I'm very much an Italian boy at heart. My mornings start with espresso at home, made from my Moka. I have tattooed into my memory the voice of my nonna reminding me to always "fare una bella figura" (make a good impression) no matter where I go. I wake up in the morning and the first thing I think about is "what am I going to cook for dinner?". And it's impossible for me to talk without my hands in motion - don't ask, it's just not possible. But irrespective of my Italian upbringing, my Italian roots, my Italian passport and having grown up an Italophone, to all my fellow compatriots I cannot be an Italian. The reason many give is simply because I wasn't born in Italy. A strange accusation as beloved Italian TV icon Mike Buongiorno was born in New York City as well yet nobody would dare say otherwise. Others say it's because of my "exotic last name". Once again, contradictory as Cavour is not a very Italian last name (it's French) and it's the one associated with the Italian minister who played a vital role in Italian unification or "Risorgimento". Others are more blunt and say it's because I'm too "different". My looks are foreign. My style is foreign (although I highly beg to differ). Even my Italian accent is bizarre; a strange melange between Neapolitan with a tight Northern Italian twist at the end, reflective of my mother's Genovese roots. Because of this, one cannot tell if I am from the south or the north (a high case for identity in Italy). Overall, for most Italians, to identify with Italy you must be like the rest - un italiano e basta (an Italian, and that's it!) But such an accusation is narrow-minded (or even flat out racist as some would argue). Countless immigrants have made Italy their home over the course of the century and there are many generations of immigrant families who are indeed 100% Italian. Such was the case of a recent reality TV show called Italiani Made in China which portrayed Italians of Chinese origin. The show took a group of Italian-Chinese youths to China for the first time and although to a European, these youths looked psychically Chinese, they were just too Italian for their surroundings. This was apparent in their fashion sense and disdain for the Chinese trait of thriftiness which goes against Italian cultural norms, their desire for coffee over tea, and for many by the fact that they couldn't even speak Chinese! Even their hand movements were Italian which clashes against Chinese norms who culturally do not gesticulate as it confuses them in communication. Even for those who grew up in very Chinese families, being in China and exposed to the culture was a complete shock for these youth. But yet their own fellow Italians still label them foreigners, unable to accept them as Italian-Chinese, or even more so as just Italian. Born in Egypt to Italian parents from Calabria, renown Singer and Icon Dalida identified all her life as an all around Italian girl. Yet despite being completely Italian, her Egyptian birth made her an outcast and she found solace living in France, where she ended up becoming a naturalised citizen. Even so, she always saw herself as both Egyptian and Italian despite being outcasted by both cultures. Today, she remains an icon in French music. This mentality of single minded identity can prove not only alienating to the victims, but also dangerous. Take the plight of the Rohingyas in Myanmar, the Fur people in Sudan and Dominicans of Haitian origin in the Dominican Republic. 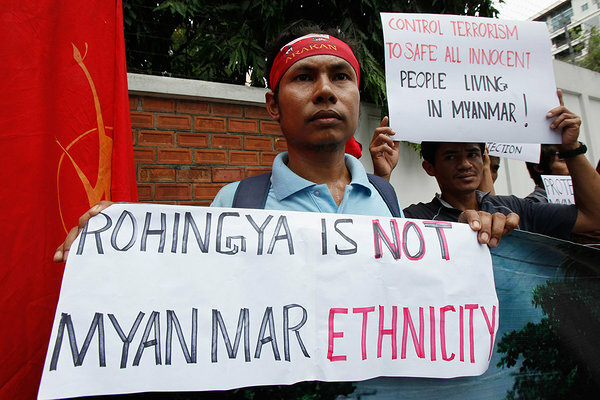 Denying a person or a people an identity simply because of multiple associations by either appearance or ethnicity despite their ties to the land has caused increasingly amounts of conflict globally. This fear of duality also goes beyond just culture. Within the LGBT community, bisexuals get the most brunt from their fellow queer community, shunned by homosexuals for being "sexually curious and not serious" while heterosexuals consider them “gay but in the closet”. It goes as extreme as many in the LGBT community and heterosexual community refusing to date bisexuals because "they can't be trusted". From dual cultural to dual orientation, this aversion stems from the fear of what can't be explained and the unknown. Mind you, it’s a well known fact that people are not afraid of the dark - they are afraid of the unknown surrounding them. But how can this end? How can we make the world see that it is possible? For one thing, simply accepting it from a top level would be a start. World leaders and celebrities embracing dual identities could help invigorate a population to relieve their fear. Intolerance towards emphasising that one should identify with only one culture should be enforced and multiple identities embraced or even encouraged. But I don't feel there's a simple answer for this. Here we are at age of globalisation and instead of reducing our fear of multiple associations, it has only made us more conscious of how widespread it is. But alas, just like identity itself, there can't be one answer - but multiple. Maybe that's why society is still afraid to answer it. In the Name of Identity is an excellent piece by Amin Maalouf which goes over this topic in detail and argues how the lack of appreciation of multiple identities and cultural association has led to more wars and caused violence than any other cause.